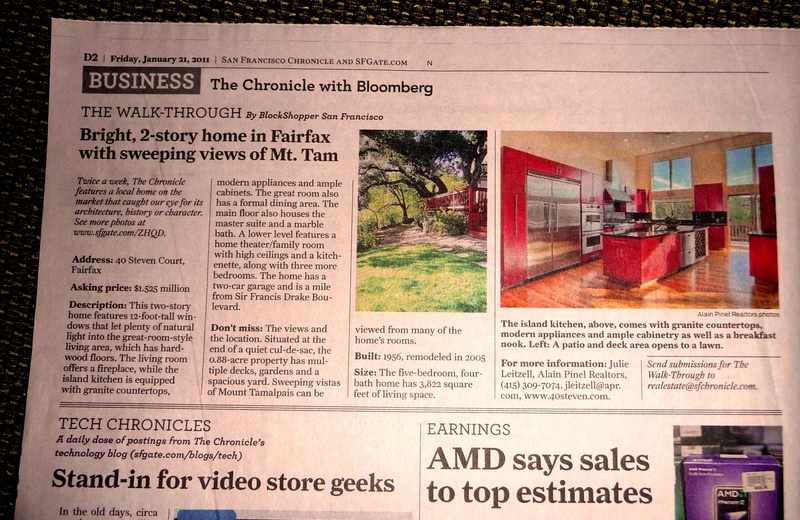 Newspaper Story (‘old media’) Brings in Viewers and Buyers! When my listing at www.40Steven.com was featured in the Friday Chronicle “Walk Through” section, the hits on the website went through the roof! Well, to be fair, the home was also featured on SFGate.com, but most buyers who came through over the next couple of weeks had seen the old-fashioned paper article. We may have an offer coming in from Denver buyers who did see the SFGate photos, and put the home at the top of their ‘must see’ list on their next trip out. There is still some room for good press!